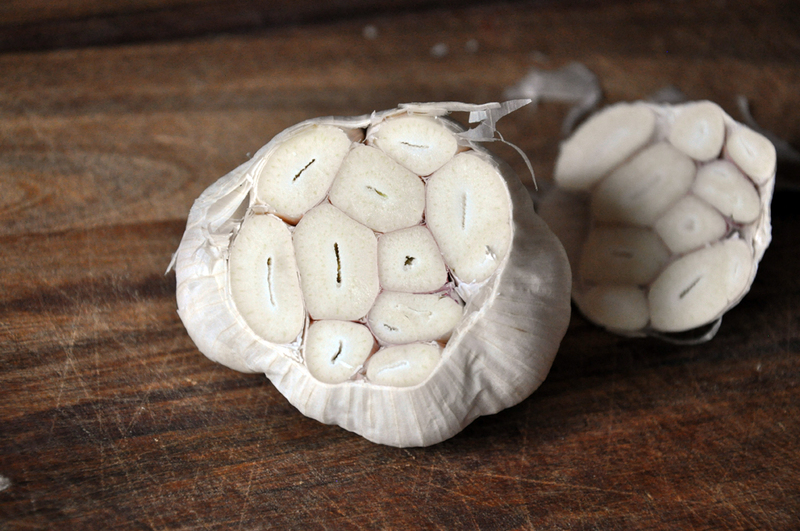 To roast the garlic, preheat oven/toaster oven to 350 degrees. Meanwhile, trim 1/4" from the top of the head to expose the cloves. Set in a small amount of foil, drizzle with EVOO and wrap up tightly. Bake 45 minutes, remove, open the foil and let cool. 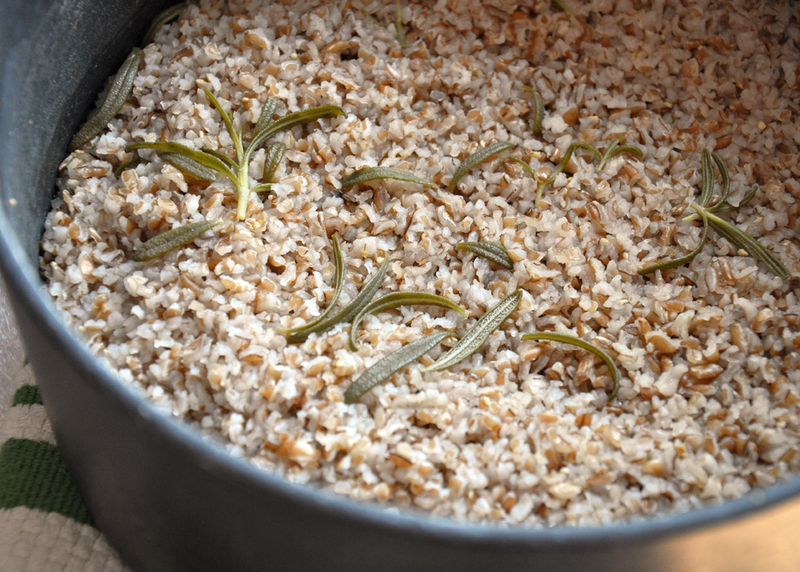 Meanwhile, add rosemary leaves, bulgur and 2 cups water or stock to a small pot over medium heat. Bring to a boil, turn down to low, cover and let cook 15 minutes. Remove from heat, pour off any extra water and let cool. 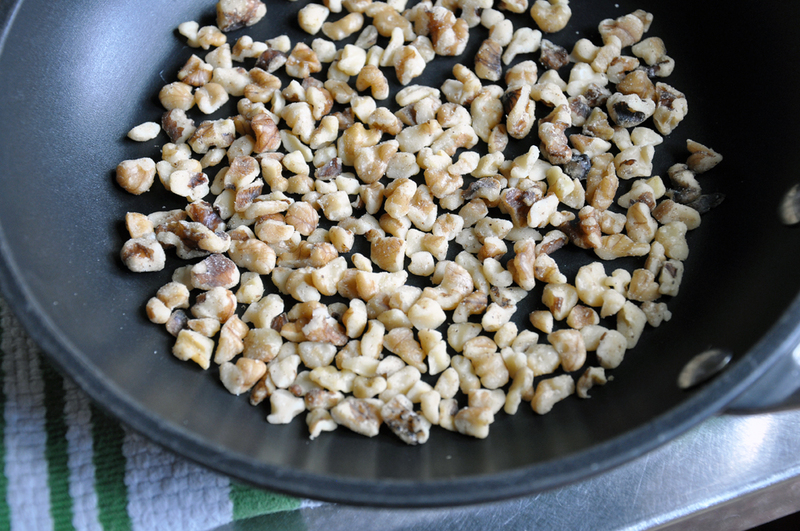 In a small, dry pan, toast walnuts over medium heat for 2-3 minutes until fragrant. Remove from pan and set aside. 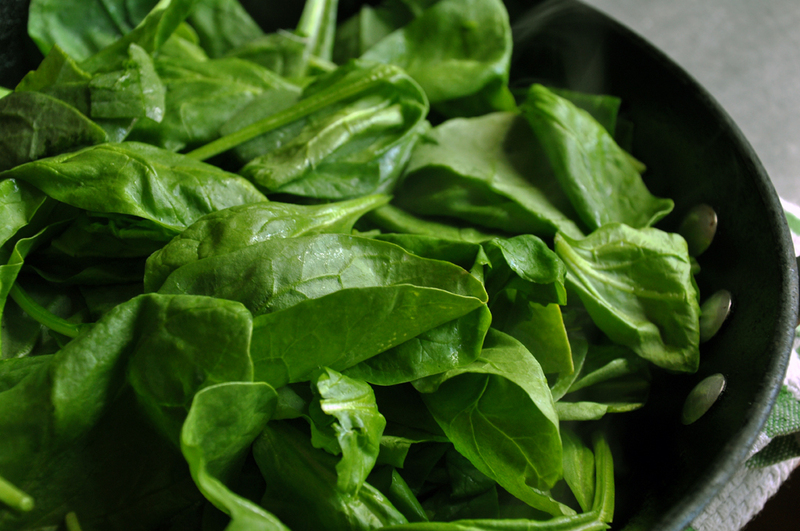 In the same pan, coat with cooking spray and then add spinach. Cook until wilted, about 30-45 seconds. Remove from heat and drain, if watery. When garlic and bulgur are done, add everything to a food processor bowl, including the rosemary and cherries. Process until smooth or pulse to leave chunks. Refrigerate 30 minutes, or overnight if possible, to set and make it easier to work with. 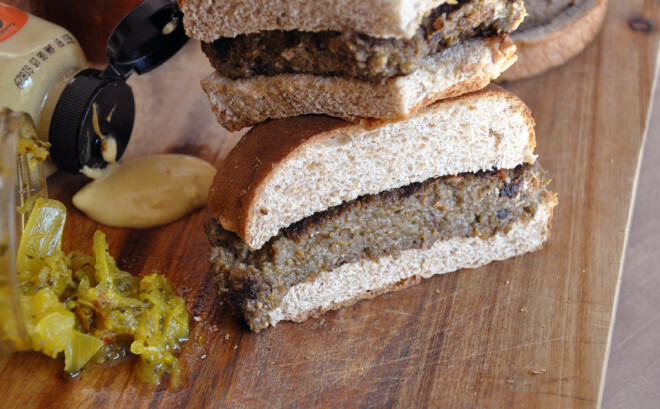 Divide into four patties and grill or cook in a pan over medium heat until browned on both sides. Enjoy with your favorite condiments.